During early 1861, a German physician by the name of John H. Joecken was caring for Mr. Malinken, who was ailing in his Brooklyn home. On one of his visits, Malinken's 35-year-old wife, Caroline, approached Joecken privately and told him "she did not want to have so many children, and wished to know if it was possible to get rid of her present burthen. The doctor replied that it was the easiest thing imaginable, and that in eight days all would be over." Joecken set to work on Caroline, "and by the use of drugs as well as instruments succeeded in making her very sick." Over the course of several days her condition deteriorated. She died late Monday night, February 11. The coroner's jury concluded that Caroline had died from "pyemia, supervening upon metritis, consequent of an abortion produced at the hands of Dr. Joecken." Joecken was arrested. On February 11, 1879, 65-year-old Henry Sammis of Northport, Long Island, got a dispatch to go to Brooklyn immediately. His daughter, 21-year-old Cora,was deathly ill. Mr. Sammis boarded the next train with his wife. About halfway to New York, he got a copy of the morning paper, where he read that his daughter had already died from the results of a botched abortion. When he arrived in Brooklyn, police asked him about Frank Cosgrove. Mr. Sammis said that Cosgrove had been courting Cora for about two years, and the couple had become engaged and had planned to marry before the spring. Cora's body was then taken to the coroner's office, where an autopsy was performed "which showed conclusively that death had resulted from malpractice." Cora's aunt, Mary D. Betts, testified that Cora and her "alleged seducer," Frank Cosgrove, had met at her house and from there went to the home of 35-year-old Bertha Berger. About two hours after they arrived at the house, Berger perpetrated the abortion. Cora was to convalesce there but instead grew increasingly ill. Cosgrove, who sat up with Cora every night, found an ad for Dr. Whitehead, who advertised that he practiced midwifery, and offered him $100 to take over Cora's care. Upon examining Cora, Whitehead found that she had a raging fever from a uterine infection. He declared that the case was hopeless. Berger offered him $50 to provide a death certificate but on the advice of his attorney Whitehead refused, instead notifying the authorities. Police came to Berger's house to question Cora, who was told that she was dying. Cora said that she and Frank had rented the room for the express purpose of having Berger perpetrate the abortion. Berger's defense was to pin the blame on Dr. Whitehead, claiming alternately that he had perpetrated the abortion elsewhere then sent the ailing woman to Berger's house to die, and that he had come to the house and perpetrated the abortion in Cora's room. Whitehead later admitted that he'd "been concerned in several malpractice cases" and had been arrested five times, but added that he'd never been convicted in an abortion case. The police evidently believed Whitehead's story, and called him as a witness against Berger. Cosgrove was arrested as an accessory. He plead guilty and sentenced to four years. On February 11, 1905, 17-year-old Leona Loveless died in the Ischua, New York home of Dayton M. Hibler, where she had been working as a domestic for two years. Rumors immediately began circulating that she had died as the result of an abortion, and that Hibler was responsible. When word of the rumors reached his hears, Hibler took his shotgun out to the barn, first wounding himself in the chest, then successfully finishing himself off with a blast to the head. I have been unable to learn who perpetrated the fatal abortion. On February 11, 1957, veterinarian Ira Ledbetter performed an abortion on 38-year-old Alice Kimberly. Ledbetter used a veterinary instrument called a milk tube on Alice, causing lacerations and an embolism. A milk tube is a cannula with a bulb syringe attached, which sounds very much like the early abortion device popularized by Harvey Karman. She quickly died of her injuries. Ledbetter had picked Alice up at her home about 1:00 p.m. Leter that afternoon he up to a mortuary in Coldwater, Kansas and announced that he'd found a dead woman lying by the side of the road and had her body in his car. Agnes Swarmer, the mortuary attendant, contacted the Dr. McCoy, the county coroner, who summoned the sheriff. Upon autopsy, McCoy found a lot of frothy blood in the pulmonary arteries, clear evidence of a massive air embolism. Death, he concluded, would have been almost instantaneous. Alice had been about ten to twelve weeks pregnant, with the placenta torn lose. McCoy concluded that somebody with enough skill not to have injured Alice's cervix -- and thus not Alice herself -- had used the milk tube to put air between the placenta and the uterine wall, causing the fatal embolism. Ledbetter, age 65, appealed his conviction. He was offered release on $10,000 bond pending appeal after being convicted of first-degree manslaughter in Alice's death, but the court upheld his conviction. In late January of 1985, Pentecostal pastor Ruth Ravenell got a phone call. "They told me I had to get down to St. Luke's right away, that Dawn was at that hospital fighting for her life. I was going, 'How can she be fighting for her life? She left for school this morning, looking healthy, never been sick.'" When she got to the hospital, Ruth learned that her 13-year-old daughter had gotten pregnant by her 15-year-old boyfriend. With the secret help of a teacher and counselor at school, Dawn had arranged an abortion at Easter Women's Center in New York City, a National Abortion Federation member clinic. Anesthetist Robert Augente didn't administer enough anesthesia to get Dawn through the entire procedure. About halfway through, she began to cough, vomit, and choke. Abortionist Alan Kline put a breathing tube in Dawn's throat, put her aside, and left her unattended to lapse into a coma. "While I was there at the hospital -- they were doing tests -- I had to keep my hand pressed over my mouth to keep from screaming in horror." Ruth said. "I kept going, 'This is all a bad dream. I am going to wake up and this will not have happened.'" Day after day Dawn's family gathered at her bedside, talking to her, playing tapes of the family singing together, trying to lure her back from the brink of death -- all to no avail. Dawn died three weeks after her abortion, on February 11, 1985, without ever having regained consciousness. DaNette Pergusson, a 19-year-old medical assistant, submitted to a safe, legal abortion on February 11, 1992, at the hands of Robert Tarnis of Phoenix, Arizona. During the abortion, DaNette stopped breathing, and paramedics were summoned. The Maricopa County deputy medical examiner determined that DaNette died from a pulmonary embolism. Start Preparing Now for Abortionist Appreciation Day! March 10 has been designated "National Day of Appreciation for Abortion Providers" by the abortion lobby. This "celebration" was mainly intended to overcome the powerful negatives of working in abortion. Dr. Rachel McNair has explored the stresses of abortion work in her Achieving Peace in the Abortion War. Though it was originally launched with much fanfare, it seems to be petering out over the years and becoming more of a day for prolifers to remember abortionists than for prochoicers to "appreciate" them. They've not forgotten that this was supposed to be a day where the people they "help" let them know how much they're appreciated. I picture the abortionists sitting lonely and forgotten, like the Maytag Repairman. This is where we can step into the gap! Join National Day of Outreach to Abortion Providers! On March 10, participate in any way you think appropriate to reach out to abortion workers so that they can follow in the footsteps of ex-abortionists and ex-clinic workers like Bernard Nathanson, Carol Everett, and Abby Johnson. Send clinic staff letters or emails gently letting them know that though they may have meant well, they hurt you or your loved one. Bring your local staff gift baskets that include information on And Then There Were None, or Clinic Worker.com. Make the gifts real gifts, like gift cards for a restaurant, a nice flower basket, bath salts, and so forth, not phony "gifts" intended to crush the worker's spirit, like dismembered baby dolls, baby clothes, etc. Join the activities of the local 40 Days for Life in your community. Write to your local newspaper, and call talk shows, to educate people about how people can provide real help to pregnant women. Tweet, using the hashtags #abortionproviders and #appreciateabortionproviders, inviting abortionists to turn in their instruments of death and instead provide real help to pregnant women. So what we need to do is break through that illusion. I have few details on the first two abortion deaths from this date, and a lot on the third. On February 8, 1919, Ruth Fragale, a 20-year-old clerk, died at her home in Pittsburgh, Pennsylvania. Her mother, Clesta M. Cochran, and her sister, Delorous F. Mischler, said that Ruth had taken ill on Sunday, February 2, but had insisted that she was not sick enough to need a doctor. Clesta sent for Dr. Thomas C. VanHorne on February 4. He was caring for Ruth, with her mother and her sister by her side, when she told him that she'd used instruments on herself on February 1 and 2 to try to cause an abortion. An attempt about two weeks earlier had failed. VanHorne continued to attend to Ruth daily until peritonitis finally killed her, leaving her husband, Frank, widowed. Dr. Lou E. Davis was tried three times for the February 8, 1934 abortion death of 27-year-old Gertrude Gaesswitz. The first trial resulted in a hung jury, the second in an overturned conviction. Davis was acquitted in the third trial. Davis was implicated in five other Chicago abortion deaths: 27-year-old Anna Adler in 1913, 26-year-old Mary Whitney in 1924, 22-year-old Anna Borndal and 23-year-old Esther V. Wahlstrom in 1928, and 24-year-old Irene Kirschner in 1932. On February 7, 19-year-old Nancy Ward, a student at the University of Oklahoma, and her boyfriend, Fred H. Landreth, flew from Oklahoma to Kansas City and visited Dr. Richard Mucie at his ear, nose, and throat clinic. Mucie examined Nancy while Fred waited, then told the couple that he would contact them at their hotel. At 11 p.m., Mucie called and arranged to pick them up and drive them to his clinic. He took Nancy back for the back room while Fred waited in the outer office. About 20 to 30 minutes later, Mucie, dressed in a surgeon's gown, returned to the front office and asked Fred for money, $400, before starting the procedure. Mucie came out about every half hour to change the music on the phonograph, but didn't speak to Fred until about 7:30 on the morning of February 8, when he came out and asked Fred if he wanted to come back and see Nancy. Fred went with Mucie into the office and saw Nancy lying on a couch with a cover over her. Fred said, "Hello," to her, and though Nancy didn't speak, she smiled and moved her hand. Mucie told Fred that Nancy was still sedated. Fred drank some juice that Mucie gave him, then went back to the waiting room to nap. He was awakened at about 11:30 that morning by Mucie's porter. Mucie told Fred that Nancy had suffered a heart attack and was in shock and had been taken to the hospital. He told Fred that he would come back for him, then went back into his office. Fred went looking for him and followed the sound of his voice to a back room, where Mucie was lying on a cot, talking on the phone and saying something to the effect of needing to call the coroner and filling out a death certificate. Stunned, Fred went back to the waiting area. Mucie came out a few minutes later, told him that Nancy had died, and that they needed to stick to the story that the couple had been traveling through Kansas City and had called him because Nancy had started to have chest pains. It was around that time that the ambulance arrived. The driver and attendant found Nancy on a cot. Mucie told them that she still had a pulse, and instructed them to take her to Osteopathic Hospital and administer oxygen en route. Nancy's hand, clenched into a claw, had blood on it. Mucie wiped off the blood. The ambulance driver and attendant lifted Nancy and found that she was already stiff, and of course had no pulse. It was 1:00 p.m. by the time the ambulance arrived at the hospital. The doctor there found no pulse and noted that she'd clearly been dead about four hours. He called Mucie, who told him that he'd been treating Nancy for about two weeks for a heart condition. Nancy's body was taken to the morgue, where a detective observed the autopsy, noting needle marks on her arms, buttocks, and left breast and taking custody of the uterus and the skull and upper spine of a fetus of roughly 4 1/2 to 5 months gestation still in the uterus. Most of the remainder of the fetus, consisting of a shoulder blade, upper arm and shoulder joint, and part of a collar bone, was found in the trash at Mucie's clinic. The autopsy found abundant evidence of the abortion, including stains from antiseptic on Nancy's upper thighs and genital area, a 1/2 inch tear in Nancy's uterus. The condition of her uterus, heart, and other organs indicated that she had gone into shock and died at the clinic at about 9 a.m. February 8, in spite of Mucie's attempts to resuscitate her. She had bled to death. Mucie dropped the story that Nancy was a cardiac patient when the case went to trial. Instead, he admitted that somebody had called him in early February to arrange an abortion for his son's girlfriend from Oklahoma, and that he'd said that the pregnancy was too far advanced. The man had called back with a revised estimate of the pregnancy. Mucie said that he'd told the man that he'd charge $4 to examine the girl and see how far advanced her pregnancy was. He said that after he'd examined Nancy and verified that she was 4 1/2 to 5 months pregnant, she had become distressed, saying that this would "kill" her father, and threatening to kill herself. He gave her some Vistaril to calm her then took the couple to the hotel. Nancy, he said, had called him some time after midnight, crying and hysterical. He agreed to meet the couple at his clinic. Once there, he said, Nancy had said, "I had to do it, I just had to do it." He said he'd examined her and found fetal and placental tissues protruding from her cervix. He then prepped her and completed the abortion she had started herself. He insisted that he'd lied to everybody about Nancy's pregnancy and abortion in order to avoid giving her father a shock. Mucie was convicted on June 8, 1968, of performing an abortion "not necessary to preserve the life" of the mother. Illegal abortion at that time carried a penalty of 3-5 years, with the sentence to be increased in cases where the mother died. Mucie served 14 months then was released on parole. Parole was set to expire on July 27, 1977. His medical license was revoked on May 4, 1971. After Roe v. Wade overturned Missouri's abortion law, Mucie successfully appealed his conviction and got his license restored under a ruling that madeRoe retroactive in Missouri. He was released from probation and his record expunged of the manslaughter-abortion conviction. Ironically, Nancy's fatal abortion was retroactively declared legal on the grounds that the state's "interest in maternal health" did not allow Missouri to have prohibited Mucie from performing it. Robert Dale Crist, who would later go on to kill three of his own abortion patients, was one of the people who testified in Mucie's behalf to get his conviction thrown out and his license restored. On February 11, 1871, Dr. C. C. O'Donnell was arrested for murder in the death of 20-year-old mother and homemaker. Addie Hand of Clemtina Street, San Francisco. Addie had died at her home on February 7. "She was buried on a certificate that she had died of a congestive chill. The publicity given to startling rumors concerning her death led to the body being exhumed, when an examination disclosed the fact that an abortion had been preformed." An inquest found that she had visited O'Donnell twice before her death. Addie's friend Jennie West testified that Addie had told her that O'Donnell had made two attempts to perform an abortion on her. Her sister-in-law also said that Addie had named O'Donnell as the abortionist. O'Donnell was arrested. However, there was insufficient evidence to hold him, and O'Donnell was released. Mary Donigan, age 22, died on February 6, 1870, at the Brooklyn home of long-time friend Mrs. Bridget Dillon. Mary had come to her home on a Monday afternoon about three weeks before her death, looking sickly. After about two weeks, Mary's condition worsened. On day Mrs. Dillon went to empty the slop pail in the room and discovered a dead baby, which she described as large -- in keeping with Mary's report of having been pregnant for about eight months. Mary reported that she had paid a doctor $5 for a bottle of medicine, but refused to name this doctor. Mary likewise refused to divulge the name of her baby's father. An old woman came to help Mrs. Dillon care for Mary. Mrs. Dillon went off in search of a box to bury the baby in, but returned to Mary's room to find both the old woman and the baby gone. Over the following days, Mrs. Dillon dosed Mary with castor oil and powders from a pharmacist. Mary took such a turn for the worse that Mrs. Dillon sent for both a doctor and a priest. The doctor, Matthew F. Regan, testified that he found Mary "suffering from inflammation of the womb and the covering of the bowels." Dr. Regan prescribed some medication and returned on Saturday. When he returned at noon on Sunday to check on Mary, he found her dead. A post mortem examination found no signs of instrumentation, but plenty of signs of infection in and around the uterus. The medical examiner determined that Mary had died from an abortion. In April of 1895, a reporter who was at the Detroit business of undertaker Frank Gibbs kicked a coffin. Gibbs scolded, "Here, don't kick that coffin. There's a body in it, and I've got $100 for keeping it." The reporter went to the health department. When the undertaker got wind of this, he hastily had the body buried at Potter's Field. The health department ordered the just-buried body to be immediately exhumed and brought to another undertaking establishment for an autopsy. The cause of death was determined to be abortion. The young woman's body was kept on public display at the funeral establishment for five days, hoping that someone could identify her. When nobody recognized her, she was returned to her grave. The first real break in the case came when a woman went to Prosecutor Fraser, saying that she'd been at the Alice B. Lane Lying-In Hospital in January and had met a young Englishwoman there who had given her name as Emily Hall. The dead woman was exhumed once again, and the informant positively identified Emily. An investigation finally revealed that Emily had come to Detroit on January 23 and went directly to the lying-in hospital. Four days later, Dr. D. J. Seaman performed the abortion that eventually took Emily's life. The baby's body -- which the police recovered -- had been buried in the back yard. Women that had met Emily at the hospital said that the baby's father lived in Birmingham, England, and was a clergyman in the Church of England. Eventually he was identified as Jonathan Bell. He was charged in Emily's death, evidently responsible for the pregnancy and having arranged the abortion. However, authorities decided not to pursue extradition. Seaman's first trial ended in a hung jury, a second trial produced a conviction which Seaman had overturned, and a third trial ended with Seaman convicted of manslaughter and sentenced to ten years. Elizabeth "Betty" Hellman was the 35-year-old wife of an Air Force major. On January 28, 1952, Betty was admitted to the Tinker Air Force Base hospital in critical condition, suffering from pain and low blood pressure. Her red blood count was very low, and her white count very high, indicating infection. She admitted to having undergone an abortion on January 25. When questioned by investigators on January 31, Betty said that friends had referred her to a woman named Jane. She was shown a photo and identified the woman in it, 43-year-old Mrs. Jane McDaniel White, as her abortionist. She gave White's address as the place she had gone for the abortion. Betty said that White had put her off for several days while she got over her fear of undergoing the abortion. She promised White $100, but only paid her $50. White initiated the abortion with some kind of packing and sent Betty home. Betty became very ill, and called White, who with her daughter came to Betty's home and "scraped her out". After Betty gave her statement, police raided White's home. White and her daughter, Mrs. S. B. Anderson, Jr., were nowhere to be found. Betty died on February 6, from peritonitis. Her husband had managed to rush home from Tokyo in time to see his wife before she died. An autopsy verified that an abortion had been performed and had caused Betty's death. Police eventually tracked the abortionists down and arrested them for murder and procuring an abortion. This had been White's third arrest for abortion charges. She had been convicted in 1947, under the name Jane McDaniel, and sentenced to seven years, but the conviction was thrown out on a technicality based on how advanced the girl's pregnancy had been. She was charged again in 1951 but the main witness had vanished and the case had been dismissed. Seventeen-year-old Laniece Dorsey underwent a safe and legal abortion at a Family Planning Associates Medical Group facility in Orange County, California, on February 6, 1986. 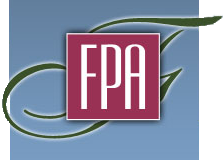 FPA is a National Abortion Federation member facility. Laniece lapsed into a coma, was transferred to a nearby hospital, and died later that day. The Orange County Sheriff's Department medical examiner blamed the death on cardiorespiratory arrest due to the anesthesia, although he also found "a thick adherent layer of fibrinous material containing moderate numbers of inflammatory infiltrates" in Laniece's uterus. Laniece wasn't the first or last young woman to die from abortion at a facility owned by FPA head honcho Edward Campbell Allred. Other patients known to have died after abortion at Allred's facilities include Denise Holmes, Patricia Chacon, Mary Pena, Josefina Garcia, Joyce Ortenzio, Tami Suematsu, Deanna Bell, Susan Levy, Christina Mora, Ta Tanisha Wesson, Nakia Jorden, Maria Leho, Kimberly Neil, Maria Rodriguez, and Chanelle Bryant. Allred's facilities remain members of theprestigious National Abortion Federation despite these deaths. Life Dynamics lists 26-year-old Kathy Davis on their "Blackmun Wall of safe and legal abortions. Citing Kathy's death certificate, Life Dynamics says that Kathy died at Cleveland Metropolitan General Hospital of heart failure and hypertension following a legal abortion on February 6, 1987. Four Wretched Deaths, 3 "Back-Alley," 1 "Safe and Legal"
On February 5, 1906, 15-year-old Mercedes Berriogobel, the daughter of the Mexican Consul in Chicago, died at Wesley Hospital from complications of an abortion perpetrated by a person, perhaps a doctor, whose name I've been unable to determine. Mercedes's father moved his family back to Mexico immediately after the inquest and was very uncooperative with the police as they investigated. The family admitted that Mercedes had gone to her mother with news of the pregnancy, the abortion attempt, or both. They had sought the care of Dr. Bayard Holmes, a highly reputable and respected physician, who admitted the girl to the hospital under a false name and performed an abortion there in an attempt to save her life. However, he failed to report the abortion to the authorities, who learned of it only after an undertaker tipped them off. News coverage indicates that the coroner had leads on the guilty party or parties but that the police never felt that they had enough evidence to prosecute. On February 5, 1918, Carmile Ghant died at 3746 State Street in Chicago from an abortion perpetrated by two doctors, Ges. Miller and Robert J. Miller. There is some odd mention of the defendants being "Outside labor force (incl. criminals" and the business owner of a bar or saloon." It is therefore unclear if one or both of these doctors also owned a bar, or if the bar owner was somehow an accomplice in Carmile's death. Either way, the men were indicted on March 1, but the case never went to trial. On January 29, 1929, Glasgow native Louise Allman, age 25, underwent an abortion at the home of Amelia K. Jaruez, a midwife. The address is also listed as a medical facility, so evidently she provided care to legitimate patients there as well. 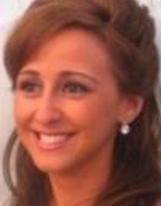 On February 5, Louise died, leaving behind a husband. Jaruez was held by the coroner on February 23, and indicted for homicide by a grand jury, but she was acquitted on July 2. Carolina Gutierrez turned 21 while hospitalized for lingering complications of a abortion performed at Maber Medical Center in Miami on December 19, 1995. She had taken ill after the abortion but for several days had been unable to get the clinic to either answer the phone or return her messages. Finally she collapsed and her family called 911. After numerous amputations to try to stop gangrenous infection, Carolina died on February 5, 1996, leaving her two small children motherless. 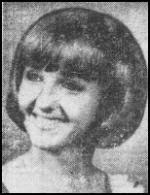 Janyth Caldwell, age 36, died February 4, 1986, a month after George Wayne Patterson attempted to perform a safe and legal abortion on her. The Alabama state Medical Examiner attributed her death to loss of oxygen to the brain, due to internal hemorrhaging from an ectopic pregnancy. A proper pre-abortion examination should be able to determine if the pregnancy is ectopic, in which case standard abortion techniques will not touch the embryo. Proper post-abortion pathology reports would detect that no embryo was removed from the uterus, and would clue the abortionist in to the fact that the pregnancy was ectopic. Patterson evidently missed both of these opportunities to detect Janyth's ectopic pregnancy and prevent her death. Even though, in theory, women who choose abortion should be less likely to die of ectopic pregnancy complications, experiences shows that they're actually more likely to die, due to sloppy practices by abortion practitioners. Brenda Visesuffered this fate after getting abortion drugs at a clinic that was operating illegally after having been shut down by Tennessee authorities. On February 3, 1912, 37-year-old homemaker Helen Imhoff died on the scene from blood poisoning caused by an abortion perpetrated by Dr. W. A. Beringer and midwife Margaret Meyer. They were indicted by a Grand Jury on March 1, but the case never went to trial. Mary Strugnall, age 17, died February 3, 1929 from an abortion performed that a month earlier by Dr. Joseph A. Harter. Harter was held by the coroner on February 28. His brother, a student named Irving Harter, and Vernon Keyser, the baby's father, were arrested as accessories. Dr. Harter was indicted for homicide, but was acquitted on June 26. Denise Crowe was 21 years old when she went to Dr. Romeo Ferrer's private practice, which looked like and advertised as a clinic, on February 3, 2006. She was 16 weeks pregnant. Ferrer started the abortion at about 1:00 p.m., using ultrasound guidance. The abortion took over 45 minutes, and Denise was administered multiple doses of Demerol and Versed because she was finding the procedure so painful. After Denise was moved to the recovery room, Ferrer's staff were unable to get a blood pressure or pulse reading on Denise, and told him. He gave a verbal order for 0.4 mg Narcan, a drug to counteract narcotics. At 1:50, Ferrer began efforts to resuscitate Denise. Staff called 911 while Ferrer continued resuscitation efforts, maintaining an open airway with the non-professional method of head tilt and chin lift rather than an airway or endotracheal tube. The medics arrived to find Denise still unresponsive and without a pulse. They used an oxygen mask and additional drugs as they transported Denise to Anne Arundel Medical Center. There, emergency room staff continued the attempts to resuscitate her, to no avail. She was pronounced dead at 2:57 p.m. The autopsy found that Denise had died from a Demerol overdose. The medical board faulted Ferrer for carelessly administering medications too rapidly and in excessive amounts, not appropriately monitoring Denise's vital signs, and not resuscitating Denise properly. Jennifer McKenna-Morbelli, age 29, and her husband, TJ Morbelli, had eagerly anticipated the birth of their baby, named Madison Leigh. However, because of a prenatal diagnosis, Jennifer, accompanied by her parents, husband, and sister traveled from New Rochelle, New York to a late-term abortion facility in Germantown, Maryland on Sunday, February 3, 2013. Madison was 33 weeks gestational age. Germantown Reproductive Health Services is a National Abortion Federationmember facility, which means that it supposedly provides only the best and safest care. However, it is operated by Dr. Leroy Carhart, who had already had a less than savory history. The prolifers who gather outside report seeing Jennifer arriving for her appointments on Monday, Tuesday, and Wednesday, appearing "pale and weak." Jennifer spent over nine hours at the facility on Wednesday. After she was discharged, Carhart and his wife left the state to work at another abortion facility. According to Operation Rescue's anonymous source, Jennifer started suffering chest pain early on Thursday morning. She was unsuccessful in her attempts to reach Carhart. Finally, at about 5:00 a.m. her family took her from the hotel to the emergency room. Hospital staff were unable to get in touch with Carhart either, though he eventually did return their calls. Jennifer was suffering from massive internal bleeding and coded six times as staff struggled to stabilize her. She finally died at around 9:30 a.m. The medical examiner indicated that Jennifer died from disseminated intravascular coagulopathy caused by an amniotic fluid embolism -- in other words, amniotic fluid and /or fetal tissue got into her blood stream and caused a cascading series of catastrophic problems including the inability of her blood to clot. This is the second third-trimester abortion patient to die under Carhart's care. The first was Christin Gilbert, who was being treated by Carhart at George Tiller's Wichita abortion facility in 2004. On January 25, 1915, Dr. E. M. Ullrich of Brooklyn, was called in to attend to 20-year-old Margaret Bereis of Stanhope Street in Ridgewood, New York. He found her with a high fever. The next day he consulted with Dr. Jensen concerning Margaret's high fever. They concurred that she was suffering from septicemia. Ullrich continued to care for her until her death on January 31, filling out her death certificate attributing her death to peritonitis and blood poisoning brought on by an abortion. Fifteen-year-old Gwendolyn Drummer was a student at Harry Ellis High in Richmond, California, when she was admitted to Doctor's Hospital of Pinole for a safe and legal abortion, to be performed January 28, 1972. Her doctor chose the saline abortion method. These abortions are performed by replacing amniotic fluid with a strong salt solution. In the decades after WWII, saline was being abandoned in countries where abortion was legal, in favor of safer methods. But as laws loosened up in the US, American doctors adopted the method. A British study published in 1966 found that the saline would enter the mother's bloodstream and cause brain damage. Swedish researchers noticed an unacceptably high rate of complications and deaths. Sweden and the Soviet Union followed Japan in abandoning saline abortion as too dangerous by the late 1960s. Gwendolyn's doctor injected the saline into her uterus. It got into Gwendolyn's blood stream, just as British, Japanese, Soviet, and Swedish doctors had repeatedly warned it could do. Gwendolyn suffered organ damage. She developed pneumonia, and died on January 31.